Marketing Basics for Artists and Exhibition Organisers: How to get your art noticed! THE ART IS NOT ENOUGH! For people to hear about you and your art somebody has to be communicating about YOU and YOUR ART. That's the way art gets noticed. That's the way people find out about artists. That's the way people get to become full-time professional artists - or successful semi-professional artists. This is how you get to be successful! Communication is essentially about marketing - but there's lots of different aspects to it. 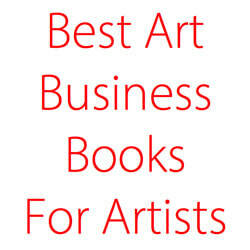 ​Many artists struggle with finding the right words to market themselves. 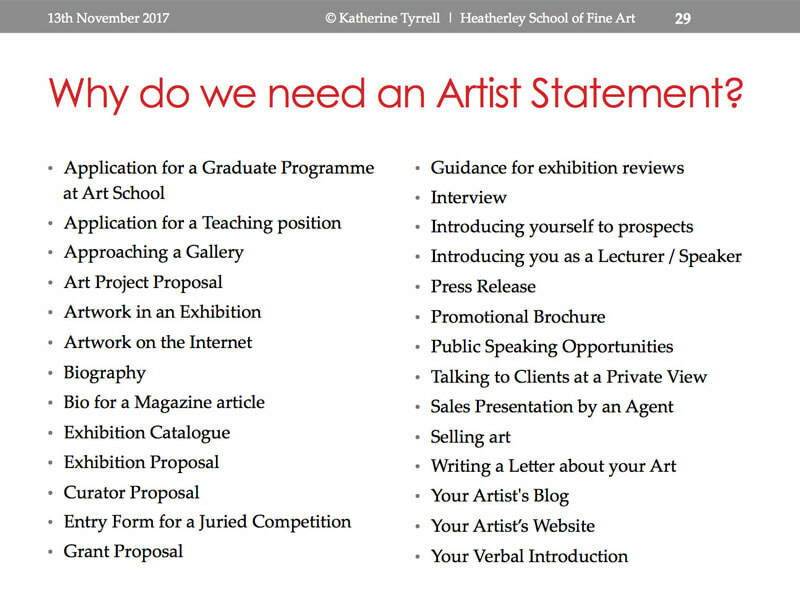 How to write an Artist Resume or CV - How do you summarise your life as an artist in a CV or resume for galleries, exhibitions and potential employment? How to write a press release - Do you want to know how to write a Press Release for an artist or an exhibition or other art event? Most have a sub-menu of pages which help to chunk the topic up and make navigation easier. 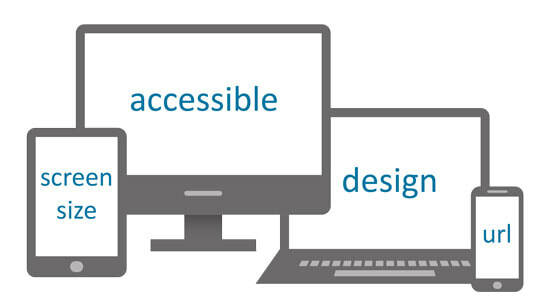 How to be mobile friendly - It is now absolutely essential to have a mobile-friendly website or blog if you intend people to access it without difficulty. From my blog post about "Artists Websites in 2018"
Blogging for Artists (in development - a site needs to be transferred here) Will cover links to advice and information relevant to blogging for artists and blogging by artists. ​If you are an artist, it's not enough to market art - you also need to market the exhibitions that your art is in - before, during and after. If you are an organiser of open exhibitions, your exhibition will have a bigger impact - and more visitors - and more sales - with good quality marketing. Will somebody be writing this about you in future? A few years back I had a very sweet letter from somebody whose Dad produced very nice watercolour paintings which had been admired in the past by an influential art critic. She wonders why her Dad's name doesn't come up whenever watercolour is discussed and how she can get him better known. I checked on the Internet and there appears to be no record of the artist on the internet or via galleries. Success in art is as much to do with marketing as it has to do with talent and quality of painting. The marketing doesn't have to be done by the artist but it does have to be done. One nice comment does not create a career! There is also no record of this anywhere on the internet. It rather looks to me as if somebody - maybe you - needs to take the marketing side of his artwork in hand. There is nothing on the internet which indicates how this can be seen and/or purchased. Does your father enter the open competitions exhibitions run by the Royal Watercolour Society and the Royal Institute of Painters in Watercolour? These are essentially places to get "seen". It's not about selling paintings - it's about marketing your art. His paintings and sketches are nice - but then so are those by a lot of other painters. What they don't have, which the paintings of other artists have, is a size or a price on them - or indeed any information at all about them. If they don't link to a place where they are being sold - via email to artist, or gallery or online website - then they won't sell. Silent artists do not tend to become the best known artists. I trust this gives you some food for thought..